Are you searching for the best tools that will help you to upgrade your workshop and increase productivity? One of the most essential tools you should have is a miter saw stand. Your workshop will not be complete without this tool. A miter saw stand acts as a base for the saw or workpiece. You might have an excellent miter saw but without a quality stand, it will not be of any importance (Source). Most miter saw stands are sturdy and will significantly help you in any woodwork task especially when cutting. Many people find it hard to determine the best saw stand due to the numerous brands available. When searching for these tools, look for one that is portable, affordable, flexible and one that is easy to use. 7 Why Should You Buy A Miter Saw Stand? The Bosch T4B is the best if you are searching for a reliable and quality miter saw stand. It has amazing features which you can’t find in other models. To start with, it features a universal mount which makes it more versatile as compared to others. This enables it to accommodate any miter saw irrespective of the size. The best thing about this stand is that it is firm and therefore it can support any piece of wood which is not more than 18 feet. It is very suitable when you are using it on stairs. The oversized wheels make it easy to move especially when you want to work in different places. You will also realize that it is very short. If you have limited space, you can easily fold it for easy storage. The leveling feet are very easy to adjust. Apart from that, it features versatile wheels which come in handy when you want to move it from one place to another. It uses Gravity-Rise system which makes it easy to collapse even with a saw attached. Another thing is that it is very easy to assemble and portable. Lastly, it features two level adjusters which enables you to cut easily on uneven ground. 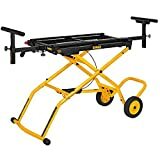 Dewalt DWX723 is among the most affordable stands you can find today. Despite the price, it comes with interesting features which makes it among the most reliable miter saw stands you should add to your workshop. To start with, it has a universal design which makes it ideal for all types and models of miter saws. It also contains mounting brackets which enables you to attach and detach the saw easily. The best thing with these brackets is that they allow you to use 2 saws at once. Additionally, it has a beam which extends to support materials of up to 16 feet. It also features flip-up material cut stops. If you are searching for a stand that can hold a weight of up to 500 pounds, this one might be the perfect option. It is stable and lasts for a long time. The stand also features non-marring feet which are located on the tool mount. This ensures that the materials are well protected from damage or scratch. The leg log levers provide stability to the setup. It has a maximum height of 32 inches and a width of 150 inches. It has a height of 6 inches and a width of 73 inches when folded. It is lightweight and has a total weight of 35 pounds. The miter saw stand features a universal auxiliary mounting and therefore you do not need an extra mounting surface. It is easy to attach and detach the saw from the stand using the quick release brackets. The stand also contains a non-marring rubber around the mounting brackets. This enables you to remove the saw from the stand and place it on a finished surface. This keeps the finish free from scratches. This stand has a weight of 50 pounds which makes it heavy to carry. However, you do not need to carry it frequently unless you are putting it in and out of your vehicle. It also features 2 wheels with a diameter of 8 inches on one end while the other end contains an effective handle. You need to pull it when moving it from one place to another. It extends up to 99.5 inches which enables it to hold longer materials. It is long lasting and straightforward to assemble. Another thing is that it features flexible material stops to allow you to cut accurately. This one is a fantastic folding saw stand which is very affordable. The stand measures 44 X10.2 X 6.1 Inches and weighs 30.1 pounds. It is very convenient especially if you will be switching jobs since you can easily fold it when it is not in use. The best thing with this miter saw stand is that even if it is inexpensive, it can comfortably accommodate a load of 500 pounds. This is more than the required for most cutting tasks. Once you’ve set your eyes on it, you will realize that it does not have some fancy features available in the high-end models. However It is straightforward to assemble and will take you about 45 minutes. Attaching and detaching the parts it’s effortless since it comes with 20 inches attach mounts which makes it easy to set up. The pieces of this stand are made of hollow steel which makes a stand very sturdy. If you are searching for a lightweight option, this one might be the best. The only problem is that it does not feature wheels or rollers. It has a height of 36 inches which enables you to cut comfortably without straining yourself. Additionally, comes with 2 material supports which extend on the two sides to support materials with over 10 feet. It contains quick mounts which enable you to remove the saw easily. This one is another great model you need to consider. One end of the stand has some wheels while the other end contains the standard legs. It can be folded vertically to create room for storage. It has three different heights which enables you to adjust according to your preferred height. The maximum height of this stand is 8 feet from the ground. It also features a pneumatic feature, which enables you to raise it easily. Additionally, it comes with a 3 years warranty. It is very stable and comes with adjustable mounting rails which makes it among the most versatile miter saw stands you can find today. You can also use it with all types of miter saws. It is the best for contractors and amateurs who work in different work sites. The wide pair of rubber wheels makes it easy to move. It weighs 67 pounds and has a maximum capacity of 300 pounds. If you are searching for a miter saw stand that will serve you for a long time, this one might be a great option. It is a bit heavy to lift but it contains moveable rubber tires which makes it easier to move. 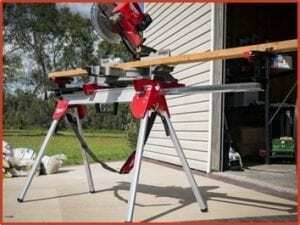 Why Should You Buy A Miter Saw Stand? The following are some of the benefits of using a miter saw stand. 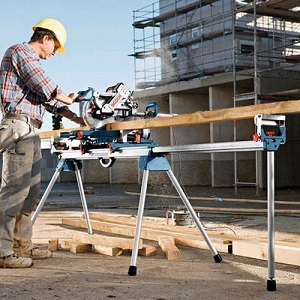 Easy to move – One of the major advantages of miter saw stands is that they are portable. You can easily move with them from one place to another. Most of them contain rubber wheels which makes them convenient. Stability – These tools are made up of strong, materials which makes them stable. This means you can comfortably control the miter saw when using a saw stand. Accuracy – For you to produce the best products, accuracy is a must especially when cutting. The stand ensures that the saw is firm which enables it to cut accurately. Support –Another benefit is that a good miter saw stand provides the required support for all accessories you would like to use with the miter saw. Cutting long pieces of wood is also easy since most of these stands contain an extended surface. The portability of the stand depends on the type of work you intend to perform. 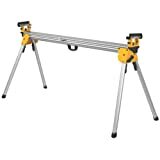 If you work on huge contracts and you need to use a miter saw stand for different projects, then portability is the most important thing you should consider. Portability might not be a major factor to consider when you intend to use it permanently in your home or workshop since you do not require to move around. Again, if you need to lift it in and out of your car, you need to look for a lightweight stand. The wheels at the bottom should be effective and durable. It should also have a comfortable handle. There is no need to invest in a product that will fail to function after some time. When it comes to durability, you need a product with strong build quality. A stand which is made of tubular steel is one of the best you should consider. Warranty is also an indication of quality. A product with an extended warranty is the best. When doing woodwork, you will need different saws for various projects. Before buying, ensure the stand is flexible enough to handle different functions. Most stands work perfectly with a wide range of power tools but you need to be careful before committing to a product. It can be very frustrating when you buy a product only to realize that it is not the best for the purpose. Considering the kind of woodwork projects you will be handling, you need to look for an ideal saw stand for your projects. Whichever projects you will be dealing with, ensure the miter saw stand you select is lightweight. The most important thing to do is to look for a product which will meet the demands of your projects. Most of the miter saw stands comes with a very simple set up which makes them easy to use. Some stands come with different features which are easy to use. However, there are some which may not be easy to use. When buying, it is good first to ask yourself what kind of experience each feature will add to your works. For example, you can consider a stand with pneumatic wheels if you will be involved in moving around uneven terrain. 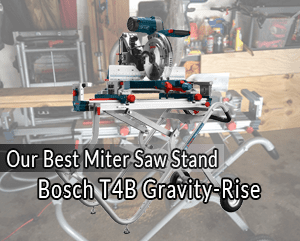 A miter saw stand is a must have a tool you should have in your workshop. Most people prefer to use a homemade miter saw stands instead of buying. One thing you should note is that most of these homemade tools will not provide the stability you might require when working. This in turn will affect the final product. 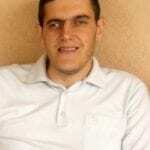 From the reviews, you can see that most of these tools are not expensive and they will boost your working experience. The best thing is that the miter saw stands are very easy to assemble. You will also note that most of them are portable which makes them convenient for those who work on different workstations. 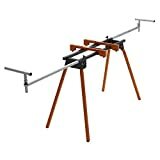 We hope that the reviews will help you in identifying a suitable miter saw stand for your workshop.